Notwithstanding the recent unpredictability seen in Indian influenza seasons, we know that flu has become enough of a threat to warrant a vaccination policy. 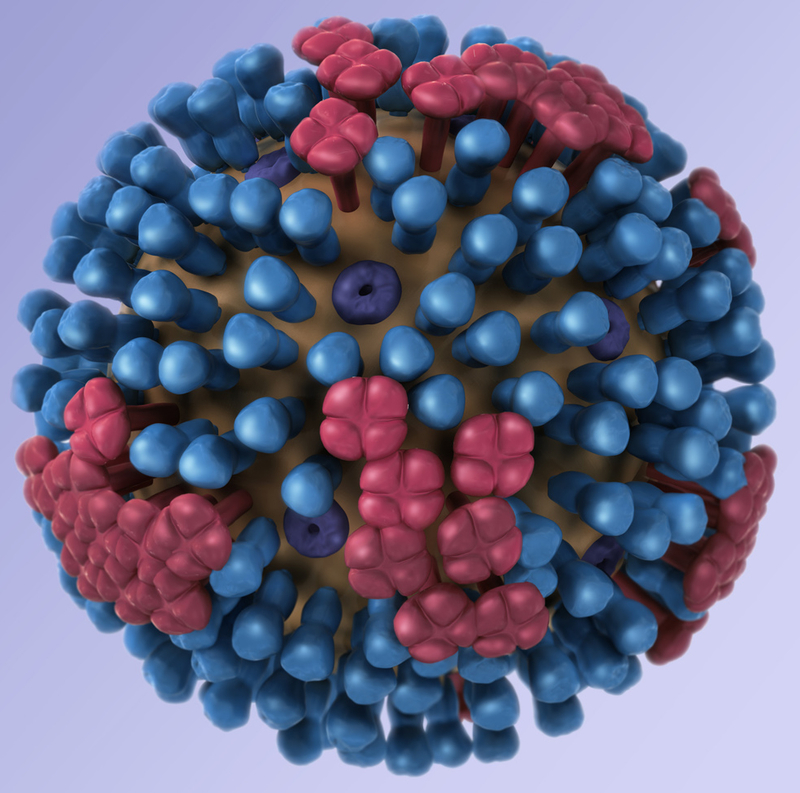 Indian influenza seasons are going berserk – or so some media reports say. In tropical countries such as India, influenza often peaks during the monsoons. This has happened in enough recent years to seem like a stable trend. But in four of the five years since 2012, influenza has peaked in the summer months, grabbing news headlines and raising speculation about a viral mutation. Two of these summer outbreaks have been particularly severe: if the number of influenza cases reported by India in 2015 was higher than the number reported during the 2009 pandemic, 2017 has been following close behind. It’s a baffling situation not just for laypeople but also for some public-health researchers. “Nobody, literally nobody, has been able to throw light on what is happening,” Subhash Salunke, chairman of the Maharashtra Communicable Diseases Prevention and Control Technical Committee, told The Wire. In a country that recorded only small and sporadic outbreaks of influenza before the 2009 pandemic, which introduced a new H1N1 influenza strain into India, these repeated, high-morbidity assaults are strange. The news media has been focusing on two supposed anomalies in the current flu outbreaks: the changing peak seasons and the high morbidity so many years after the swine-flu pandemic ended in 2010. Many suspect that the blame for both rests on a yet-undetected H1N1 viral mutation. But are these patterns really anomalous? Researchers that The Wire spoke to pointed out that influenza surveillance before 2009 was so poor that we don’t have enough data to say if monsoon peaks are the normal for India. Moreover, they said, surveillance today continues to be inherently flawed, with the Integrated Disease Surveillance Program (IDSP), India’s primary disease-surveillance database, collecting more influenza patient samples during outbreak years such as 2015 and fewer in other years. This over-reporting of cases during epidemics means that those years are not comparable to quiet years. While 2015 definitely saw an extraordinary spike in the number of influenza cases, other years could have witnessed spikes that we missed because of IDSP’s selective surveillance. We just don’t know. Despite the panic triggered by this year’s outbreak, the messaging from the National Institute of Virology (NIV), India’s apex body for influenza virus research, hasn’t been helpful. In an interview with Scroll.in about the spike in morbidity in 2017, for example, NIV deputy director Mandeep Chadha said the H1N1 influenza virus this year “seems to have evolved slightly through possible antigenic drift but has not mutated.” Scientific literature about antigenic drift describes it as a set of mutations in an influenza strain that allow the virus to evade immunity among people, leading to a spike in morbidity. But then what does a “slight antigenic drift” mean, and how does it affect morbidity? If antigenic drift is a result of mutations, how can a virus have drifted but not mutated? And what does antigenic drift have to do with the changing seasons of influenza? The answers to these questions have remained elusive. Thankfully for India, a look at past influenza research as well as research from the rest of the world today is enlightening. It tells us four things. First: the antigenic drift that the NIV has been referring to in media reports this year is most likely a mutation that began showing up across the world in 2014. Today, we know that this mutation – christened K166Q – affects middle-aged people by lowering their immunity to currently circulating influenza strains. Therefore, the NIV’s claim that no mutation has occurred doesn’t hang together. Second: the immunity that people developed against the 2009 H1N1 strain has disappeared with time, and this change alone can explain the epidemics seen this year and in 2015 to a great extent. Third: while the changing seasons of influenza in India are surprising, the country has seen such flip-flops in the past. But because we don’t have more data from before 2009, we don’t know how common summer peaks really were. Fourth: the only dependable way to take the punch out of epidemics is vaccination – but India hasn’t done much to promote it. Sometime in May 2009, a swine-flu pandemic arrived on India’s shores, introducing a new strain of the H1N1 influenza virus and proceeding to make around 32,000 people sick in the coming year. Once the pandemic slowly died down by the end of 2010, researchers expected the new H1N1 strain to establish itself in India and cause epidemics of gradually lessening severity every few years hence. But contrary to this wisdom, India experienced a big morbidity spike in 2015, making around 36,000 people sick and rivalling the pandemic morbidity of 2009-2010. At this point, researchers began to suspect that a viral mutation – or antigenic drift – was at work. While the NIV strongly denied it that year, it accepts that there has been a “slight antigenic drift” in 2017. Definition (Article continues below) Antigenic drift is a common suspect when morbidity spikes occur after a pandemic. 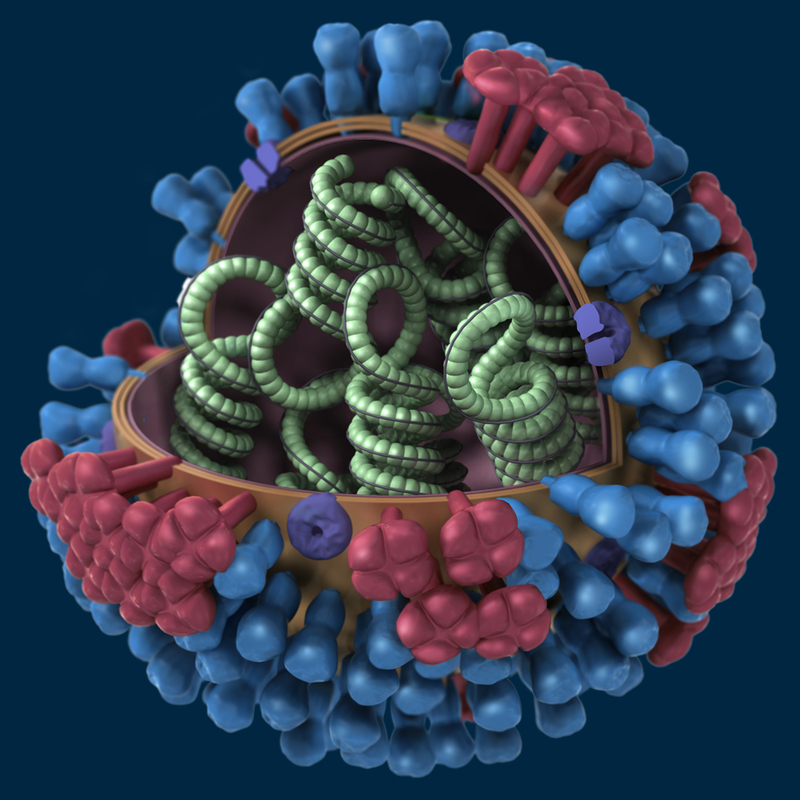 An influenza virus, like the pandemic H1N1 strain, has several protein bits on its surface called antigens. These antigens occur in two varieties, hemmagglutinin (H) and neuraminidase (N), which in turn have several avatars denoted by numbers. So, hemmagglutinin has 16 variants, referred to as H1, H2 and so on till H16, while N avatars range between 1 and 9. The antigens present on the surface of a flu virus determine its subtype – and how it is named. 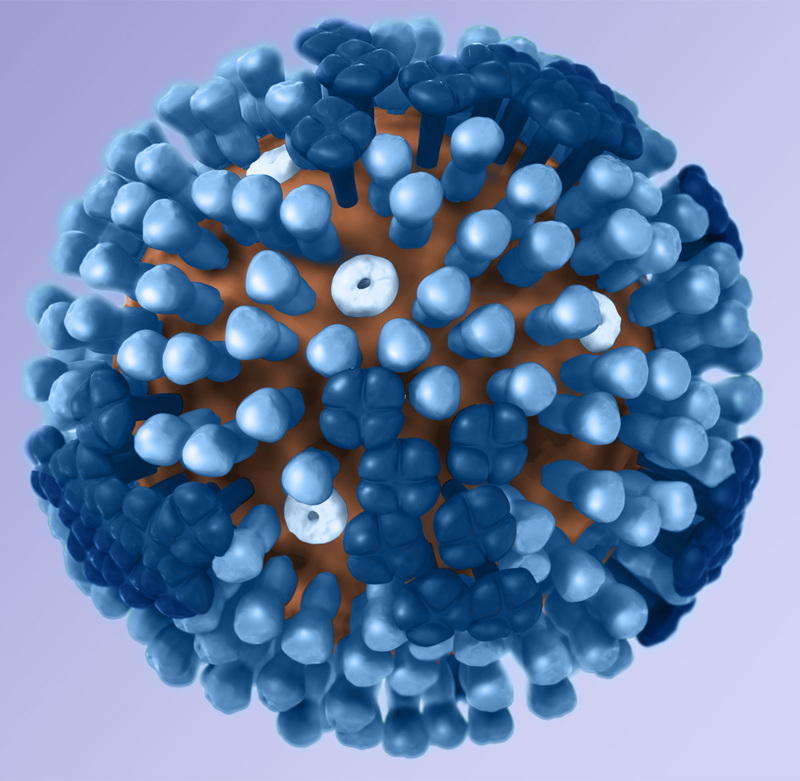 H1N1, which swept over in India in 2009, had H1 and N1 antigens on its surface, while one of the important influenza subtypes that was circulating in India before then was H3N2. These antigens are important to human beings because, when people are exposed to the virus either through an infection or by vaccination, they make antibodies that latch onto some of these antigens. Even after the virus disappears, the human antibodies remember what the antigens look like and can fight off the same virus if and when it reappears. This is how humans become immune to a viral strain. 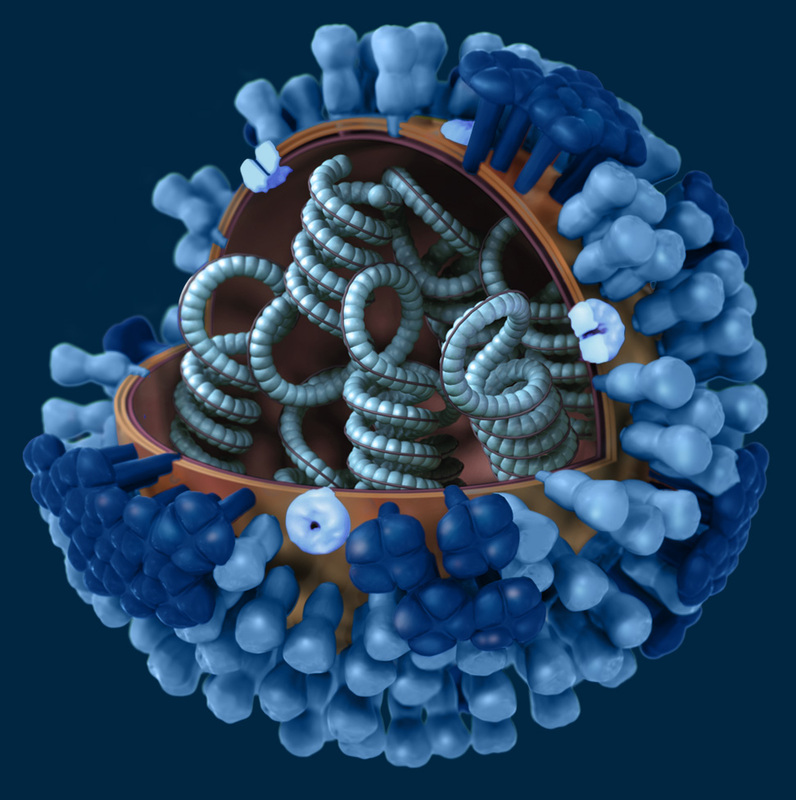 However, the crafty influenza viruses have figured out a way to escape such antibodies: the antigens on the virus mutate constantly so that antibodies cannot recognise them in their new disguise. These mutations constitute antigenic drift, and they give an influenza strain (i.e. a variant of a subtype) the ability to re-infect a person even after she has become immune to the strain. This is why antigenic drift is a common suspect in outbreaks that occur in the years after a pandemic. The antigenic drift that the NIV is most likely talking about this year is due to a mutation in the H antigen of the virus, called K166Q. Its story is a fascinating one. Researchers have been seeing this mutation around the world since 2013 – but it was only last year that surveillance agencies like the World Health Organisation (WHO) linked it to antigenic drift. K166Q is no stranger to the Indian media. It turned up in a controversy around the severe H1N1 influenza season of 2015. During the hot summer months of March, when it was already becoming clear that India was in the midst of a major epidemic, a commentary in the journal Cell Host and Microbe by two researchers from the Massachusetts Institute of Technology (MIT) raised some damning suspicions. The researchers had looked at the genetic sequences of two viral strains submitted by India that year to a public database and found three mutations in them. These mutations, they argued, could make the virus quicker to spread and more likely to kill. Their claim was in sharp contrast with the NIV’s line, which was that H1N1 strains in India were seeing no major mutations. In short, they were accusing the NIV of a cover-up. Among the mutations listed by the researchers was K166Q. Early research had suggested that some people were more susceptible to viral strains with K166Q even if they had been vaccinated with the 2009 pandemic-strain vaccine. This meant that the 2015 outbreak was possibly connected to this mutation (among others), the authors of the Cell paper argued. Their fears were never confirmed. In response to their paper, the NIV argued that the mutations they had detected couldn’t have caused the 2015 epidemic because of many reasons. First, the mutations observed had been seen in Indian strains since 2011 but hadn’t ever caused such high rates of illness. “Also, these mutated strains haven’t been circulating so widely that we have had to sit up and work on them,” Chadha told The Wire for this story. If the mutations were turning up only on occasion, they couldn’t have caused a countrywide outbreak like the 2015 one, she argued. This laid the matter to rest. But a lot has happened since then that has changed our understanding of K166Q. This is how it began. Every year, flu-tracking agencies use ferrets to test for antigenic drift in the currently circulating H1N1 strains. They inject the furry mammal with vaccines developed using the old 2009 H1N1 strain. Next, they test to see if the antibodies made by the ferrets can fight off the current strains. If the antibodies succeed, it means that they are able to recognise the antigens. In other words: the current strain has antigens similar to the 2009 vaccine strain, and it has not antigenically drifted. Because the ferret tests never signalled a drift until 2016, H1N1 influenza vaccines around the world haven’t been updated since the 2009 pandemic, when this strain first emerged in humans. What researchers hadn’t accounted for, however, was that the ferret tests weren’t perfect. This became apparent when in 2013, researchers realised that middle-aged people who had received a shot of the 2009 flu vaccine weren’t being protected against current strains even though the ferret tests had suggested otherwise. Researchers found that this was because middle aged-people in 2013 (born between 1965 and 1979) were producing antibodies against a specific antigen on the H1N1 virus when vaccinated with the 2009 flu shot. And K166Q was affecting that very antigen. Immunity among other age-groups, whose antibodies were not so fastidious, was mostly unaffected. This was why, researchers hypothesised, the 2013-2014 influenza season had been more severe among middle aged-people in Mexico and the US. By 2016, the role of K166Q in making middle-aged people more vulnerable to newer flu epidemics had became very clear, forcing the WHO to update the influenza vaccine for countries in the southern hemisphere. To tackle the mutation, the updated vaccine replaced the 2009 H1N1 strain with a newer version of it, christened A/Michigan/45/2015. The CDC soon followed. This year, India did the same. And it is this drift that the NIV seems to be talking about in the media this year. The NIV has refused to confirm the widespread presence of K166Q in India to The Wire. However, some hundred-odd strain sequences submitted by the organisation since 2014 to a public database run by the US National Centre for Biotechnology Information contain this mutation, according to Raghavan Varadarajan, an influenza immunologist at the molecular biophysics unit at the Indian Institute of Science, Bengaluru. What does this mean for India? Just as it contributed to the US and Mexican epidemics in 2013, K166Q could have contributed to the Indian spike in 2015. This means that it is likely that middle-aged people in 2015 were especially vulnerable to the mutated strain of H1N1, something that was also indicated by the Indian health ministry during that year. And K166Q continues to be around this year as well. Then again, there is one crucial difference between US/Mexican populations and India’s :the rate of vaccinations in India is almost close to zero. This means, says Varadarajan, that we do not have as many people in India with immunity to the 2009 pandemic strain as the US does. While people also acquire immunity through exposure to the disease itself, we also do not have any large scale studies in India today that tell us how many people have been exposed to H1N1 so far. In the absence of this data, says Varadarajan, it’s hard to say how many people this antigenic drift is affecting in India. The second factor that has been driving the epidemics in India since 2009 is the waxing and waning immunity levels in the population. To understand how this drives the erratic patterns of influenza after a pandemic, we need to know what causes a pandemic in the first place. A pandemic is an influenza outbreak that, unlike seasonal influenza, spreads rapidly across several continents. It occurs when a new viral strain emerges in the human population and to which people have no immunity. One way for a new strain to emerge is for a strain that infects mainly humans to pick up genetic material from a strain that infects other species, like birds and pigs. Such a mix-and-match strain, with genetic material from both human strains and animal strains, is called a reassortant strain and has new antigens. Because these new antigens are unrecognisable to human antibodies, entire nations become vulnerable to it. Although a reassortment is an act of antigenic trickery just like a drift, it is more drastic and leads to a sweeping loss of immunity among populations. That’s why reassortments lead to pandemics that straddle continents while drifts lead to more humble epidemics. It was a reassortment that led to the original 2009 pandemic – and whose effects Indians are still reeling with today. India first detected a case of the new pandemic H1N1 strain in May 2009 in Hyderabad, after which morbidity climbed quickly. 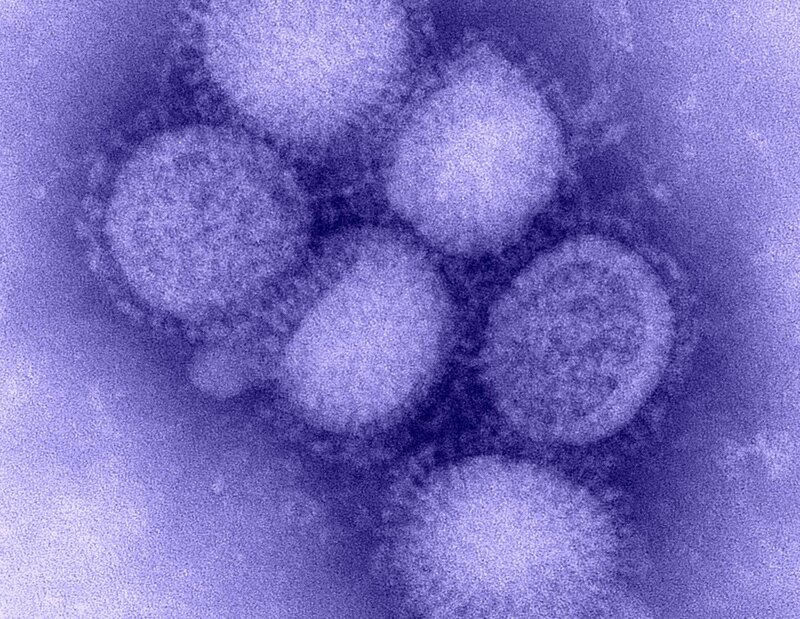 Until then, the circulating flu strains in India included H3N2, a remnant of the 1968 Hong Kong pandemic, and H1N1 from the 1977 Russian flu. The latter was genetically different from the one that hit humans in 2009. “None of the Indians had any immunity against it. So the inevitable thing that had to happen was that a large number of people fell sick,” says Jayaprakash Muliyil, an epidemiologist from CMC, explaining the first wave of the pandemic in India. But the process of falling sick from a new viral strain never happens in one fell swoop. The first wave of infection is restricted by several factors. Each time the virus infects a person but doesn’t kill her, she becomes immune to the virus. Eventually, this happens to enough people for the virus to not be able to spread as quickly in a community. This phenomenon, in which large-scale immunity in a population slows the transmission of a virus, is called herd immunity. But the hiatus in the epidemic lasts only for a year or two before the population’s immunity wears off and the virus springs back. For the 2009 H1N1 influenza strain, German researchers calculated that when around 33% of a population became immune to the virus, herd-immunity would kick in and transmission would stop. This is probably what happened around the world in 2010. The epidemic looked like it had ended, but the bug was merely waiting for the number of susceptible people to go up again, says Muliyil. There are several ways by which this happens. New people with no immunity are born every minute while older people lose some of their immunity to a strain every few years. A third and crucial driver is the infamous antigenic drift. It’s this see-saw balance between the virus and herd immunity that manifests as the staccato march of annual epidemics. Because immunity isn’t lost at a constant rate, some years see no epidemics while some others see rampant ones. This fits in with the pattern we have been seeing in India since the pandemic, says Kanta Subbarao, who heads the WHO Collaborating Centre for Reference and Research on Influenza in Victoria, Australia. After the pandemic ended in 2010, we saw a period of relative peace and quiet till 2012 and 2013, both of which saw summer outbreaks. The year 2014 saw a mild season again, followed by the huge flare-up of 2015. A pause – and then the spike of 2017 occurred. But a crucial thing to remember, says Kumar of the Manipal Virus Research Centre, is that India’s surveillance system is flawed. Even though the IDSP is supposed to collect an equal number of samples from people with symptoms of influenza every week, the truth is that the process only picks up speed when H1N1 deaths are reported in a region. In response, surveillance bodies often collect samples from everyone in the same region as the first death, ignoring other regions and artificially inflating numbers in the affected region. In contrast, during other parts of the year, sample collection drops dramatically, lowering the chances of finding influenza, even though the virus may still be transmitting at low levels. A look at Karnataka’s surveillance report makes this pattern obvious. In 2015, when officials already knew an epidemic was in progress, they tested 13,168 samples for H1N1, while in the mild season of 2014, they tested only 2,349. Kumar wonders if the so-called mild seasons are truly that mild. “You say there wasn’t much influenza activity during these years, but how many samples did you collect?” What is clear however, he says, is that influenza is a major illness in India that is here to stay. In the long run, however, influenza viruses tend to mutate to less virulent forms so that they can continue to survive in a community. “If a virus kills people quickly, it cannot spread,” says Kumar, because a dead influenza patient cannot spread the bug as widely as a living one can. Such declines in viral virulence can bring down morbidity in the decades after a pandemic. In Europe, for example, morbidity from H3N2, which a reassortment introduced into humans during the Hong Kong flu, finally began settling around 1980 to baseline levels. But it isn’t possible to predict when such a downturn will happen for India because we do not know what baseline levels of influenza are in India. Even though we have had seasonal influenza in India for decades (e.g. in the aftermath of the 1968 pandemic), we did not record how many people these seasons killed and made sick each year before 2009. “Most of the studies on flu before 2009 were just hospital- or clinic-based. We were more interested in the type of strain circulating, rather than the attack rate (a measure of morbidity) from the strain. We never knew, for example, that out of every hundred people, how many were infected with influenza,” a researcher who worked with the NIV in the 1990s told The Wire on condition of anonymity. If public health officials are worried by repeated outbreaks every year, the phenomenon of summer influenza outbreaks is troubling as well. Media reports have speculated that this too could be due to a “viral mutation”. But nothing that is known about the Indian strains circulating in 2017 connects them to the change in seasons. Historical research shows that tropical influenza seasons have always puzzled scientists. Unlike the temperate climes in the US and Europe, which see distinct flu seasons in the winter, tropical countries like India see a low level of influenza activity all year round. “If you look at the word ‘seasonal flu’, it is a loose term used in the west. In most parts of India we don’t have the classical seasons,” says Muliyil. Indian surveillance reports from the 1970s show that influenza seasons haven’t been restricted to monsoons in the past. In an NIV surveillance report of the years between 1978 and 1980, the agency observed that outbreaks tended to peak during the monsoons, but also occurred during hot months. By 2003, the institute was talking about a minor summer peak in addition to a large monsoon peak. Even though these two reports were limited to the city of Pune, they reveal that summer peaks aren’t unusual for India. Why influenza occurs in summer months at times, during the monsoons at others and in the winter at others is something researchers are struggling to understand to this day. Several lab and field studies have thrown up hypotheses for seasonality – but most of them don’t explain the complexity of influenza patterns. One such hypothesis is that the crowding of people indoors in inclement weather causes outbreaks. A 2008 study from France showed that closing schools reduced the transmission of influenza among children by a third. More dramatically, in 1977, a single delayed flight that had forced together around sixty passengers over three hours in the close confines of an airplane sickened most of them with H3N2 influenza within days. Clearly, crowds seem to help the virus get around. This would also explain the winter and monsoon peaks in temperate and tropical climates, respectively, because people do tend to flock indoors in these seasons. What it doesn’t explain is why outbreaks do not occur during festivals or in extremely hot weather (when people remain indoors). Another hypothesis that has been gathering steam is the link between humidity and outbreaks. Lab studies with guinea pigs have shown that when the relative humidity is low, the influenza virus survives and spreads very well – while at high levels, the virus doesn’t have it as good. This seems to explain the winter peaks in temperate climates but doesn’t explain the monsoon peaks in tropical climates. In general, says James Tamerius, a medical geographer at the University of Iowa who uses mathematical models to study the seasonality of influenza, weather doesn’t always predict influenza seasons in the tropics well because of how changeable weather patterns are. The tropics see both cold-dry seasons and humid-rainy weather within a space of months, each weather-type having been linked to outbreaks. “My guess is that the large swings in seasonal climate in India cause the seasonal dynamics of influenza to be inherently unstable, and this allows out of season outbreaks to occur from time to time,” Tamerius told The Wire over email. In the face of such uncertainty, one of the most reliable ways to protect oneself during an influenza epidemic is with a vaccine. With antigenic change and varying herd immunity mixing to unleash unpredictable epidemics in India, the question on everyone’s mind is: how do we protect ourselves? The most reliable way to contain influenza epidemics is to prevent them, say researchers. Personal hygiene, such as frequent hand-washing, can reduce viral transmission. Updated vaccinations can help induce immunity without the pain of illness. “What vaccination does is maintain herd immunity in a population so that influenza can’t come in an outbreak,” says Muliyil. But so far, India has steered clear of a universal immunisation policy because of the high costs involved and the fact that H1N1 tends to be just a mild illness in otherwise healthy people. Each influenza vaccine costs between Rs 500 and Rs 600 (depending on the manufacturer), which makes decision-makers in the government balk at the idea of immunising everyone. The more viable option for India is to vaccinate people at a high risk of complications – like pregnant women, diabetics, patients of heart disease and healthcare workers. Healthcare workers in particular are a special case because they not only come in contact with infectious patients, posing a risk to themselves, but also imperil other high-risk patients whom they treat. Unfortunately, India hasn’t done anything to support vaccination of such high risk groups except recommend vaccinations for them. This means that it is up to patients to decide whether to get vaccinated, and Koul says this is something they avoid. In studies he carried out in Srinagar after the 2009 pandemic, Koul and his colleagues found that the rate of vaccination was around 4.4% in healthcare workers, zero among pregnant women and 9% among diabetics. Most epidemiologists agree that it is time for the government to financially support an immunisation policy for high-risk people. This year, H1N1 killed 345 people till May. In 2015, the total number of deaths was 2,208. “Given the burden, we deserve a national immunisation policy,” says T. Jacob John, a virologist and public health expert who retired from CMC in 2000. Of course, the capricious seasonality of influenza in the last four years will also pose a challenge for vaccination schedules. As of now, India recommends vaccination before the start of the monsoon season each year. This is why the updated vaccine this year missed most of the people who fell ill during the first five months. But the effects of the vaccine last for about a year, says NIV’s Chadha, and so a June vaccination with this year’s updated flu shot should last through the coming summer. The endless mutability of influenza viruses means that H1N1 outbreaks are here to stay. They will recur until either a new pandemic displaces the current strain or until the strain loses its virulence. All India can do is enhance its surveillance systems so that they enable good policy decisions. Even then, we can only hope to soften the blow of the outbreaks, not eradicate them entirely. Priyanka Pulla is a science writer.